It has been a hugely encouraging start for Westmeath in the Joe McDonagh Cup, but Michael Ryan's team will know another tough test awaits in Tralee next Sunday against Kerry, 3pm throw-in. Fintan O'Connor's gritty Kerry outfit delivered a stylish display to stun favourites, who also lost to Westmeath on the opening weekend of the competition. Ultimately it means this weekend's match is loaded with importance as both Kerry and Westmeath will be hoping to maintain their good form. Kerry lost their first game narrowly at Netwatch Cullen Park when Carlow finished strongly, but they responded impressively. Requiring a positive result when Laois went down south, Kerry summoned a gutsy display to claim a commanding 3-20 to 0-19 success over Laois. There was plenty to admire in Kerry's powerful effort. Sean Weir ventured forward to nail two points, while Shane Conway, Jack Goulding, and Shane Nolan all carry a scoring threat. 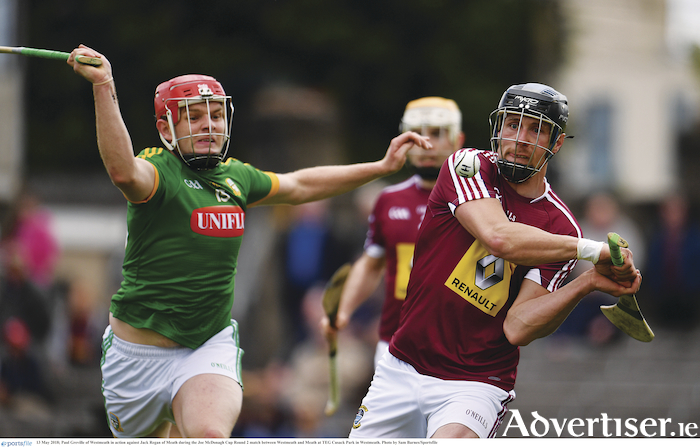 That is why Westmeath will need to be diligently defensively, but the 4-24 to 2-17 victory over Meath at TEG Cusack Park in Mullingar last Sunday was satisfactory. With eight different scorers, Westmeath continue to develop under Ryan, who is pleased with how is team are faring. Alan Devine demonstrated real opportunism to plunder two goals, while Eoin Price and Niall O'Brien were prominent. Aonghus Clarke's shooting was a key feature in the match also as he finished up with a considerable seven point haul from play to underline his value to the Westmeath cause. Westmeath, though, will be fully aware of how tricky Kerry can be on home turf, and that is why the upcoming encounter promises to be revealing. A third straight success would put Westmeath on the verge of a Croke Park appearance in the inaugural decider, and that is certainly the mission Ryan's charges want to accomplish in the coming weeks. It has been an industrious start, but the next 70 minutes matter deeply. Meanwhile, the Westmeath minors recorded a convincing 2-15 to 0-9 triumph against Carlow in Mullingar. Leading by 0-9 to 0-6 at the interval, Westmeath dominated the second period with David Devine adding two goals for the promising Midlanders.